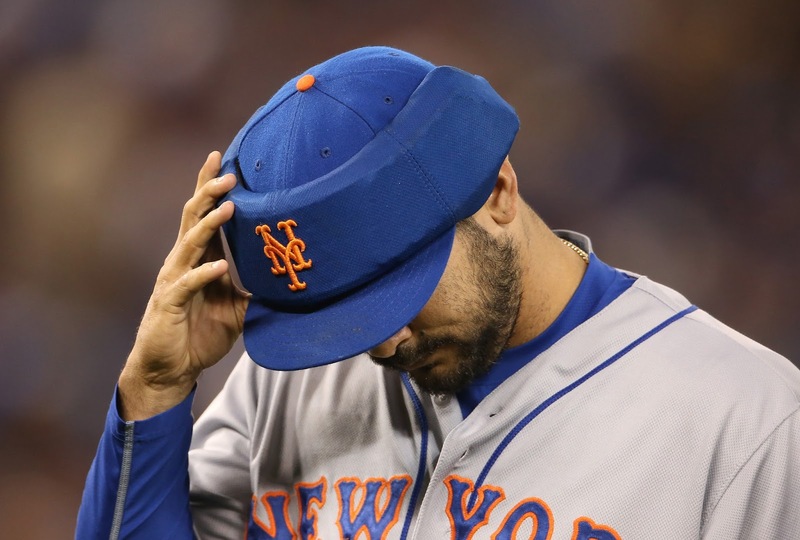 Is it fair to Alex Torres that all we know about him is that he wears a big hat/helmet? Is it fair to Alex Torres that his nickname, according to Baseball-Reference, is Dark Helmet? Is it fair to…holy crap, it’s a koozie for his hat! By now, you probably have heard that the Braves have added Torres on a minor league deal with an invite to spring training. Torres signed out of Venezuela in 2005 and made his debut the following year in the Angels organization. He remained a starting option for the Angels and was part of the package used by the team to acquire Scott Kazmir near the end of 2009. Torres would make his debut with the Rays in 2011 with a quartet of games out of the pen, though he was used for long stints rather than specialist outings since he continued to be a starting option. After a 2012 spent entirely in the minors, Torres would finally get to the majors for good in 2013. He was a trusty reliever for Joe Madden that season and pitched 58 innings in 39 games with 62 K’s and 19 unintentional walks. Torres was also lights out in the playoffs. Though he would not pitch in June 13th’s game against the Royals, the game had a monumental impact on Torres after watching teammate and friend Alex Cobb get nailed in the face by a batted ball. This would inspire his willingness to experiment with hat options that attempted to give pitchers safer alternatives than a simple hat while pitching on the mound. Despite his solid work in 2013, Torres was sent to the Padres a month before spring training in 2014 in a package that sent Brad Boxberger to the Rays. In 70 games with the Padres, Torres was moved to the specialist role. His K numbers were pretty good, but he walked a lot of batters (32 unintentional passes in 54 innings). The following spring, he was once again on the move as the Mets picked him up. He spent some time in AAA and though he had a 3.19 ERA in the major, Torres again walked too many batters. He was DFA’d after the Mets acquired Eric O’Flaherty and Torres would not appear again for the Mets before becoming a minor league free agent after the season. So, what did the Braves actually acquire here? Torres is a rare reliever in that he throws five pitches, though you’ll see a steady diet of his fourseam fastball and changeup over his sinker, slider, and rarely used curveball. The velocity was down a half-tick in 2015 and it looked like he tried to take a lot off his slider (3 mph difference), which only flattened it out. Looking at his release point, he dropped down a lot there. With increasing walks, we can look at his Zone% and there is a significant drop since his Rays’ days (46% to 40%). That will be the first thing for Roger McDowell and company to work on. His release points on nearly all of his pitches have trended down, telling me that he’s dropping his arm angle. It’s given him more downward movement on his changeup and subsequently, his changeup remains his best pitch. Clearly, Torres won’t stick around long if he doesn’t improve his numbers against lefties. He’s actually been better historically against righthanders (.178/.285/.281), but when he was a trusty arm for the Rays, he was also stellar against lefties (.173/.241/.225). Ultimately, the Braves need to understand that Torres is not a typical LOOGY. Pigeonholing him into that title may be part of the problem he has dealt with since he was traded from the Rays. When he was at his best, he was a full-inning reliever. In 2013, of his 39 games, 22 included at least four outs (compared to five that had less than three). In the 109 games since, he has only had 18 instances where he has picked up at least four outs. Fredi Gonzalez isn’t keen on using lefties that way unless Bobby Cox did it first (yes, you Jonny Venters). It might be the best route with Torres, though. Considering the price tag, Atlanta gave up nothing. They did gain a player with three years of team control who, I believe, has an option left. They also add a project who, if used properly and helped to fix arm angle concerns, could be a useful part of the bullpen. Basically, your standard smart signing with nice upside.